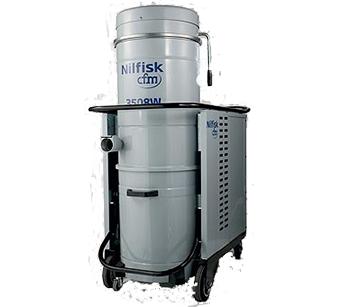 Here at Cleanhire, we give you the option to hire our range of industrial vacuum cleaners which include mobile systems provided as an electrical single or three phase motors, or compressed-air powered allowing safe usage in explosive atmospheres, or where hazardous materials are being used. The reason behind this is that this sort of product is mainly used in big industrial warehouses where hazardous materials can be a problem for the floor cleaning machines. These are very powerful machines and are able to hoover big surfaces without a problem. 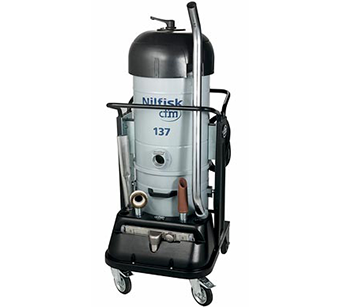 Our ranges of industrial vacuum cleaners for hire include both lightweight and heavy duty machines as well as cordless and bagless features. 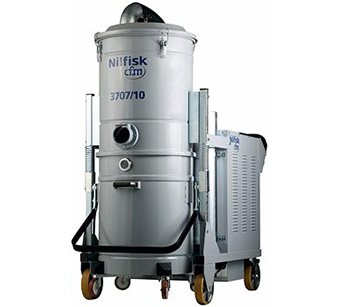 An industrial vacuum cleaner is an indispensable addition to any large premises as it is essential to adhere to health and safety regulations. Cleanliness can help protect your workforce from accidents, and it gives a much better impression to prospective customers and visitors. All our vacuum cleaners are excellent at collecting loose particles of dust or debris to keep your floors clear and clean. 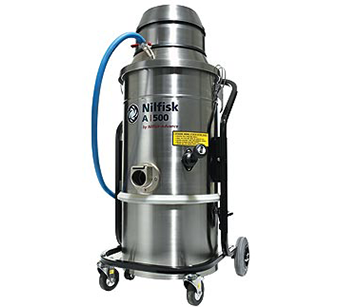 If your premises contain hazardous dusts or are in an area with restrictions on the use of electricity, then we can also supply vacuums that can accommodate these requirements too, with many variations of containment sizes and capacity. 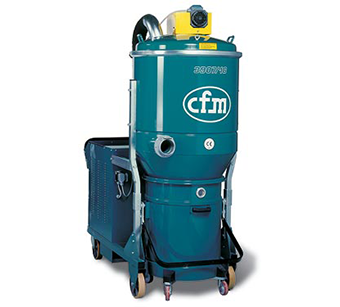 If you require a vacuum that picks up dust and other particles but may be called upon to clear up liquids as well, then we have the CFM137 vacuum that is also easily manoeuvrable as it runs on castors. 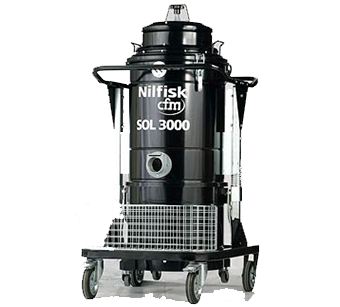 Even more powerful is the CFM SOL 3000, which is extremely versatile as it is able to cope with solids, liquids, and even oils. 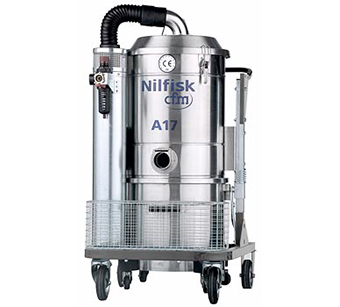 Alternatively, in areas that prevent the use of electricity, this CFM A17 vacuum runs solely on compressed air; perfect for factories with chemical fumes or without wiring. Depending on your requirements, you may prefer to look at some of our other machines. We sell, hire, and service a huge number of alternatives, so we can accommodate a number of different needs. If you are looking for a cleaner for a smaller space, have a look at our scrubber dryers, or conversely if you require something larger, one of our scrubber sweepers may be of more use. 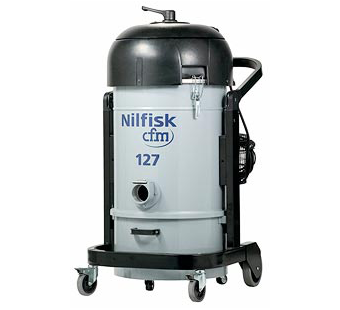 Whatever your needs for cleaning or clearing the floors of your premises, we have the industrial vacuum cleaners for your needs. Call us, CleanHire, on 01744 633738 today to see how we can help you.